New modern and stylish unit with space-age looks available. 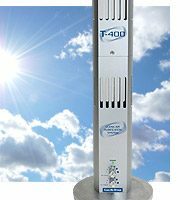 Best air purifier whilst also recreating the total fresh ionized air only found in the wide open spaces of nature. Essential for the health of all biological systems. 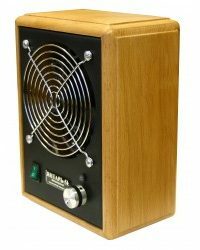 Recreates the Small Air Ions required to neutralize and destroy all airborne bacteria, viruses, fungi, allergens and most VOCs. Supports and helps with all respiratory problems. 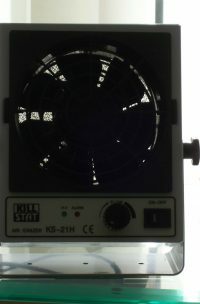 Grounded Fan Model with Variable Speed and Blowing Angle for Ionizing whole Houses and Small Offices, restoring correct levels of Small Air Ions (SAI). Helping to create Fresh Ionized Air just like we find in unspoilt parts of Nature, which contains both positive and negative ions. In the wide open spaces of Nature we typically find around one thousand to tens of thousands of SAI per cubic centimetre, with a perfect balance between negative and positive ions, which is why we feel so good in this fresh living air. INCREASES OXYGEN IONS NATURALLY! Unfortunately today, in our Homes & Offices this level of life-sustaining SAI in our indoor air drops to around 25-30 per cubic centimetre. In some cases even lower than this. This simply means that the indoor air we breathe is unhealthy because it is devoid of enough SAI to support the health & longevity of biological life forms. Ionized Air (correct levels of SAI) is essential to all living things. Negative Ion Emitters do not restore the levels, and balance, of SAI needed to support and maintain good health. 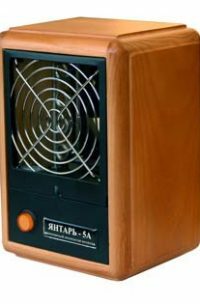 In fact their use is prohibited in workplaces in Russia. Only a Bipolar Ionizer can, and will, restore the natural levels and balance of SAI that we find in Nature! Every Home & Office should employ their use.